Robert J. Schneider, CFP®, is a Wealth Management Advisor at CIG Private Wealth Management. Responsible for meeting with clients, working on financial plans and managing operations, Bobby is well-versed in bridging the gap between the analytical and relational side of advising. 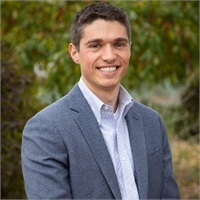 After graduating with his BS in Finance from the University of Connecticut, Bobby spent time as a tennis instructor before launching his career in financial services. Since then, he became a CERTIFIED FINANCIAL PLANNER™ professional, obtained his Series 7 and 66 securities licenses, and his Life and Health insurance license. His passion for educating and helping people succeed drives everything he does - for both his clients and his own professional development. Bobby grew up on a horse farm in South Glastonbury, CT where he learned the importance of hard work at a young age - a lesson he still values today. He still lives in his hometown and enjoys rock climbing, running and playing tennis in his free time.